It is now Tuesday night. Monday morning started out normal enough. Answering emails, doing my daily submissions.. a little bit of surfing. At 3:00 I was hanging out at Traffic Exchange Live like I normally do. At 3:30 I checked my email and noticed two messages from a very well known payment processor that I use every day. I don’t want to say the name here on my blog because I am still a little bit afraid. The first email was titled “Your xxxx Debit MasterCard has been deactivated” and the second one said “Your account has been limited until we hear from you”. My first thought was that this was another phishing scam. I get at least one email a day with subjects like that. They are usually pretty obvious. Especially when you notice that the link they want you to click is nothing like what it appears to be. I checked my account and sure enough I could login but sending or receiving money was no longer an option. I was out of business! Earlier that day I had received an email from them stating that someone had attempted to do a charge back on an upgrade they purchased from me way back in January. received or received significantly not as described. No big deal, or so I thought until they decided to exercise that right to investigate my account. I am very careful about the things I promote. I stay away from the pyramids schemes and ponzi schemes and most business opportunities in general. 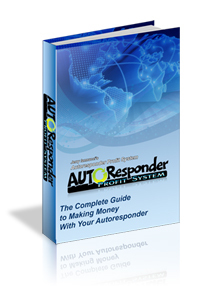 My Autoresponder Profit System site isn’t any of these things but from an outsider’s perspective it may appear that way. The problem is that you only have so much control in these situations. I had a similar experience years ago with Google Adwords (I don’t mind saying their name here). I had a very lucrative keyword business that was earning me a lot of money until one day they decided that one of my hundreds of campaigns violated their rules. “Which rule?” “Here is a copy of our rules.” “Can you be more specific?” “Here is a copy of our rules”. “I’m not breaking any of those rules.” “You are suspended forever. Have a nice day”. When Adwords shut me down I had a very hard time starting over. Without my primary payment processor (and all the money I left in my account) it was going to be even harder this time. But wow was that scary! Lesson learned… don’t put all of your eggs in one basket. It’s time to do a sizable withdrawal and start keeping my money in a real bank. Also, I probably need to start looking at other payment options. That fact that my entire business can be shut down for 24 hours because of one idiot is not something I want to deal with ever again. It’s time once again to dig into my stats and discover which safelists and viral list builders are producing the best results right now. I can’t think of any major updates to announce this month. In fact, looking at my stats I am thinking it might be time to shake things up. I noticed I had about a dozen sites that I regularly submit to produce 0 to 1 sign-ups for me last month. Some of these sites have been around for a very long time and have produced good results for me in the past. In most cases I have an abundance of credits so I don’t even need to read the emails (which probably means other people have an abundance of credits too and aren’t reading mine). It only takes me about 30 seconds to login to each one every day and submit my ad but over a month that adds up to about 15 minutes per site. Times a dozen sites and I am wasting a lot of time. So would anybody like to make some suggestions on some replacement sites? There are probably a bunch of new sites that I haven’t tried because they look too new. There’s also probably a bunch of old sites that I stopped using but should maybe revisit. In any case if you know of any decent safelists or viral list builders that are working well for you but you don’t see me posting here please feel free to leave your affiliate link in the comments below. Ok, time for the stats! If this is your first time here I will explain how this works. 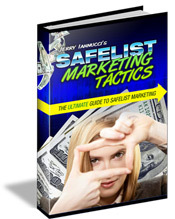 Every day I submit ads to 30-40 different safelists and viral list builders promoting my ebook Safelist Marketing Tactics. I use a free link tracking service to tell me how many hits I receive from each site as well as how many new subscribers I received. I then take all of that data and share it here on my blog every month so that you can see which safelists and viral list builders are working best for me. I like to point out that I do have upgraded memberships on most of these sites and I spend about an hour every reading enough emails to allow me to send to the maximum number of members every day. These are are my own personal stats and your results may vary. Not my best month but my top sites are still producing great results for me. Interesting to see that Viral List Builder Plus is not listed at all on the List Hoopla rankings. It has been in my top 3 for the last few months. Definitely a must have viral list builder. That’s all for now. As always I like to point out that these stats are the result of my own marketing efforts and your results may vary. I provide these stats to show people which safelists and viral list builders are currently working best for me. The sites that work best for you might be something entirely different but the only way to find out is to track your own ads. You can get the same free link tracker that I use when you join TE Toolbox.